Boucherville, QC – April 23, 2017 – In partnership with Spectra Premium Industries Inc., the APC Series is proud to announce that Spectra Premium will join as the Official Temperature Control provider for the series. In addition to this partnership, Spectra PremiumTM will be the official event sponsor the Canada Day weekend event at Delaware Speedway slated for June 29th, 2018. Spectra PremiumTM, founded in 1989, is based out of Boucherville, Quebec and currently employs over 1,500 employees across North America. As an automotive manufacturer, Spectra PremiumTM is engaged in the design, engineering, manufacturing and distribution of key automotive and heavy duty parts for the aftermarket and original equipment manufacturers. Beyond its involvement with day-to-day automotive parts, Spectra PremiumTM is heavily involved in motorsports, notably with the design and manufacturing of several high-performance all-aluminum racing radiators. These radiators are newly available for this 2018 season including two racing radiators specifically designed for the APC Series: the RR1500 for the GM Crate Motor and the RR1501 for the Ford Crate Motor. In addition to these motorsports radiators, Spectra Premium Industries Inc. was the first radiator manufacturer to be granted the CAPA 601 Certification. This CAPA 601 radiator standard is a quality certification that confirms the radiator passed rigorous testing to ensure the part will be equivalent to the car company brand radiator for the collision replacement industry. Spectra PremiumTM is a North American leader in aftermarket automotive cooling systems, fuel delivery, engine management, climate control and undercar products. The company’s mission is to develop and provide premium automotive and heavy duty parts that is the choice of original equipment manufacturers and automotive technicians. Every Spectra PremiumTM employee is committed to achieve this mission via a global manufacturing and distribution network supported through unmatched customer service and after-sales support. Fans may also remember seeing the Spectra PremiumTM colours flying around Jukasa Motor Speedway last season as a part of the sponsorship package on the number 52 Ken Schrader machine. 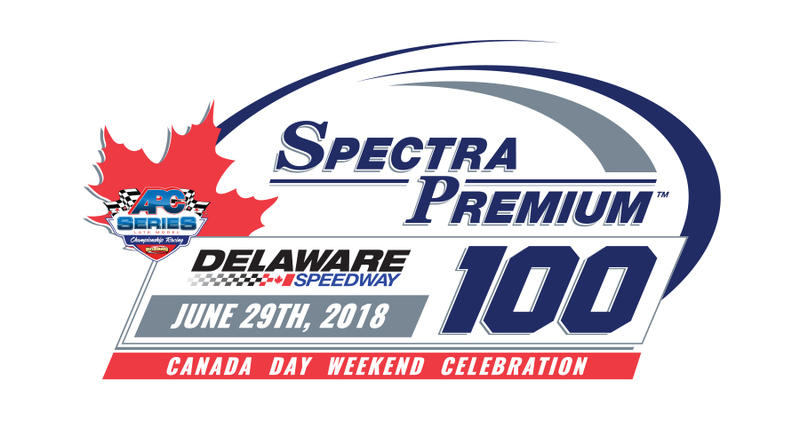 Delaware Speedway will play host to the Spectra Premium 100 as part of the Canada Day weekend on Friday, June 29th. The historic half mile is located just outside of London, Ontario and has played host to many exciting moments throughout the series. Six events were previously held at the facility. Andrew Gresel has been the most successful thus far in series competition at Delaware Speedway by claiming 3 victories and another top 3 performance. Other previous winners include Brandon Watson, Jesse Kennedy, and Cole Powell, all claiming 1 series victory at the ½ Mile. Stay up to date with everything APC Series on www.apcracingseries.com .